Reliable Lien Search Inc. sets the industry standard by providing dependable service in expediting your requests. We recognize that timeliness in coordinating real estate transactions is paramount. At RLS Inc, we pride ourselves in providing prompt, concise information; and we utilize the best technology and resources to ensure this. Our convenient online system allows you to place, track, update, and download your request in just a few clicks. Our searches are also backed by our E & O policy and our pledge to assist you in resolving any post-closing matters. Our specialty; this entails a thorough search conducted with the city or county finance departments, city clerk’s office, City Code Office, City Building Dept, Property taxes, Tangible Taxes, Special Assessments and all Municipal Departments. 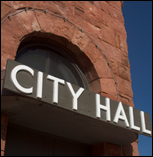 This search will reveal any pending fees or issues that have not been recorded in the public records and that would be subject to a municipal lien if left unpaid or unresolved. Additional services also include: Zoning Letters, 40 Year Re-certification Status and DERM Letters. The HOA estoppel letter can be a costly and time-consuming task. 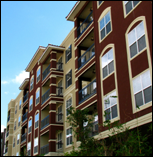 The HOA Estoppel letter which contains vital information such as the common expenses and obligations of the owner, parking spacing and upcoming assessments, is needed and usually required to insure clean title. Reliable Lien Search can take this time and costly task off your desk. Unlike most other Municipal Lien Search Companies, we also offer solutions for issues that are found from our Municipal Lien Search. 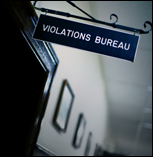 These issues including, open or expired permits, code enforcement violations, could lead to serious consequences. Since these matters remain attached to the property, new buyers could potentially inherit fines and other obligations that could have been avoided by having such issues cleared up before transfer of title. 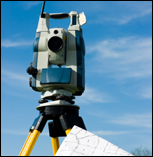 We can insure timely and efficient delivery of your survey and elevation certificates. We do this by coordinating with one of our many survey vendors throughout the state of Florida. If you need a survey in a rush, we have the resources to get your desired results, in many cases the same day.